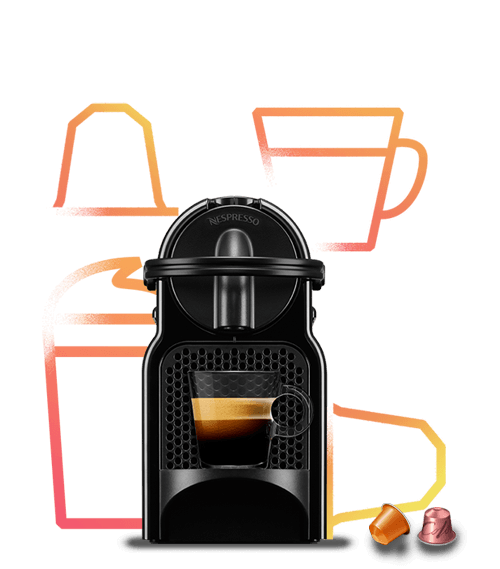 Essa oferta acabou, mas você pode aproveitar os nossos produtos e lançamentos no nespresso.com. Você será redirecionado em 10s. Se não, Clique Aqui para ir agora. in the shopping bag page, after your log in. *The free capsules will be added to your order in the shopping bag page, after your log in. which brings charm to your coffee corner. 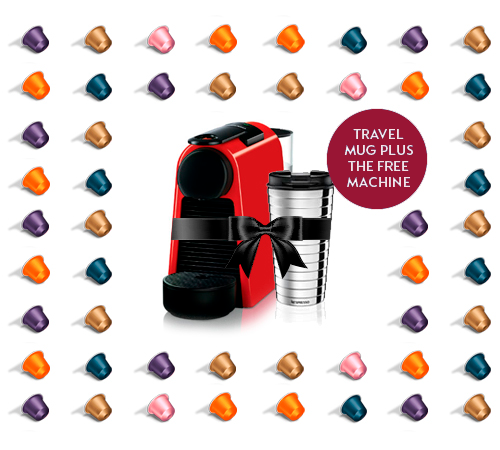 Make your Subscription this week and get a Travel Mug, plus the Free Machine. 1. 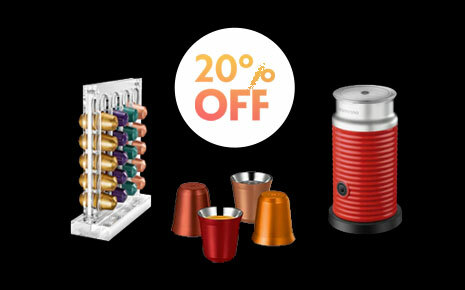 Consumer Day offers are not cumulative with others in progress and are valid from 11 to 17/03/2019 or according to stock availability on this site, by the toll free 0800 7777 737 (24 hours a day, 7 days a week ) or in the Nespresso Boutiques. 2. 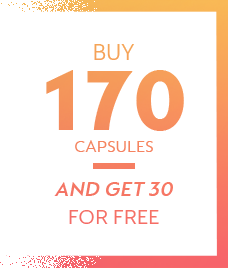 All products are subject to stock availability and changes without notice. 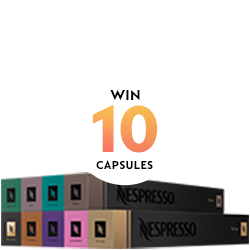 * When buying 90 to 160 capsules, get 10 Ristretto capsules. 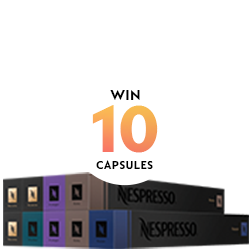 * When buying 170 to 240 capsules, get 20 capsules of Ristretto and 10 capsules of Arpeggio. 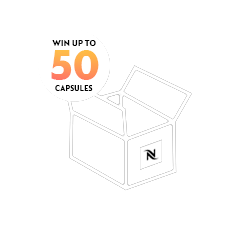 * When buying 250 capsules or more, get 20 capsules of Ristretto, 20 of Arpeggio and 10 of Volluto. 5. 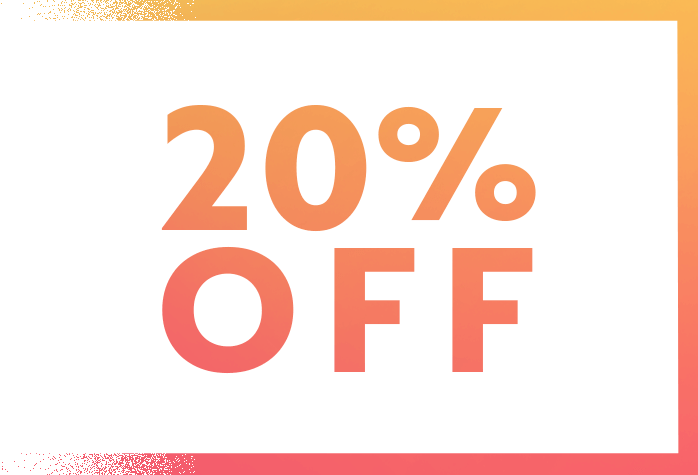 The Pack Intenses and Varieties of 90, 170 and 250 capsules suggested on this page are not discounted, they are just suggestions to facilitate the choice of capsules. 6. The 37.6% discount on the Inissia machine (from R$ 399 to R$ 249) is exclusive to Black color. 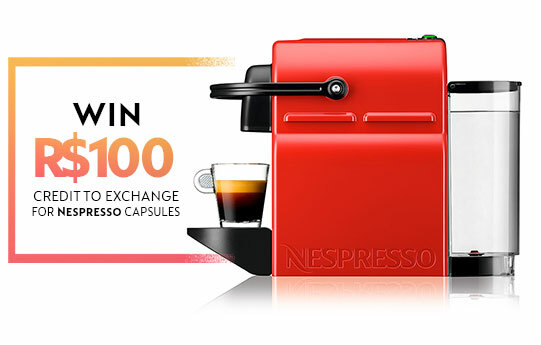 When purchasing this machine, we offer R$ 100 credit to be exchanged for Nespresso coffee capsules until 30/04/2019. This credit will be made available automatically in up to 3 business days, after confirmation of purchase, no need to send any documentation. An email stating the credit availability will be sent. 7. Check the delivery time for your location when choosing the delivery mode before finalizing your order.